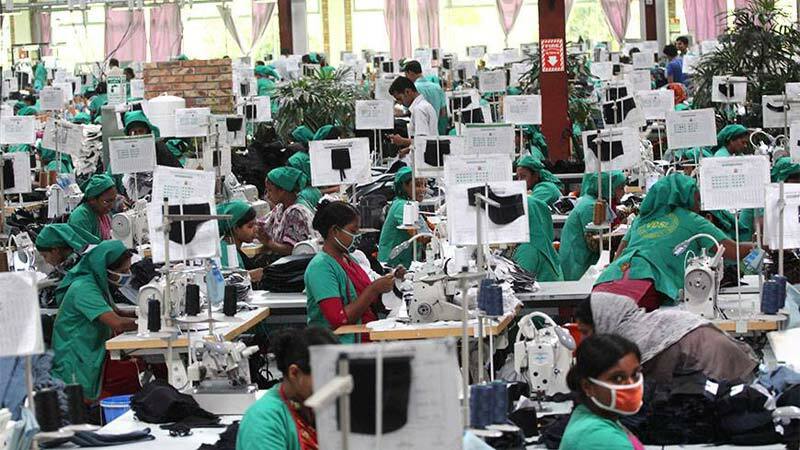 Readymade garment (RMG) workers have rejected the proposed new minimum wage of Tk 6,360 recommended by the garment owners’ association. They on Tuesday also rejected a Tk 12,020 minimum wage proposed by the workers’ representative. Leaders of Garment Workers Trade Union Kendra, an organisation of RMG workers, made the rejections at a press briefing held at Mukti Bhaban in the city. Saying that the minimum wage proposed by the owners was not in line with the workers’ demand, which was Tk 16,000, the leaders said the new wage range proposed by the owners did not reflect the needs of the workers. Executive Secretary of the organisation Kazi Ruhul Amin said workers’ representative Shamsun Nahar Bhuiyan placed the proposal to raise the baseline monthly salary from Tk 5,300 to Tk 12,020 before the Minimum Wage Board for the industry during a meeting on Monday while the RMG business owners representative, Bangladesh Garment Manufacturers and Exporters Association (BGMEA) President Md Siddiqur Rahman, proposed to raise the minimum wage to only Tk 6,360 per month. But representatives from all trade unions decided Tk16,000 as the new minimum wage as well as they had urged Shamsun Nahar to propose it to the board but she proposed Tk. 12,020 instead of their demand, he added. She also said had the representative proposed the original proposal, that the workers demanded, before the board, the RMG workers could get a good deal through negotiation with the owners. The speakers urged the government for quick realisation of minimum wage of Tk 16,000 with a basic of Tk. 10,000, otherwise they would go for tougher movement. They declared to hold a rally near National Press Club on Friday morning and organise protest march in every industrial areas on that day.